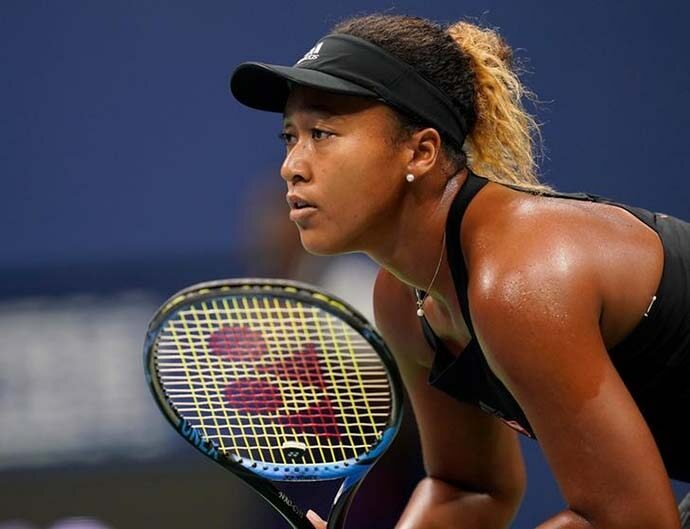 Naomi Osaka, the 20-year-old tennis player from Japan, won the US Women’s Open title on Saturday (September 8), beating the favourite Serena Williams — darling of the partisan crowd — in straight sets. This the first grand slam title for the young Japanese player and she emerged as the ‘giant-slayer’ when she denied Williams her 24th major title. And, to her credit, Naomi Osaka emerged as the new champion with amazing professional competence, leavened with dignity and grace, despite her relative youth, baptised as she was under partisan booing at the New York stadium that could not accept a loss by Williams. I am a tennis fan — but was unable to watch the match live due to the time difference and eagerly caught up with the news in the morning. The received wisdom among those of us who follow tennis was that while Osaka would put up a good fight, the more experienced Williams would prevail. And this was deemed befitting given the profile that Serena has and now, as the mother of a baby girl — the support for her was spontaneous. But the news that emerged was extraordinary. Osaka had the better of the more experienced Williams and the final tally was 6-2, 6-4. Williams had managed to win just six games and went down in straight sets. However, the sub-text adds to the deplorable extraordinariness of the 2018 US women’s finals. 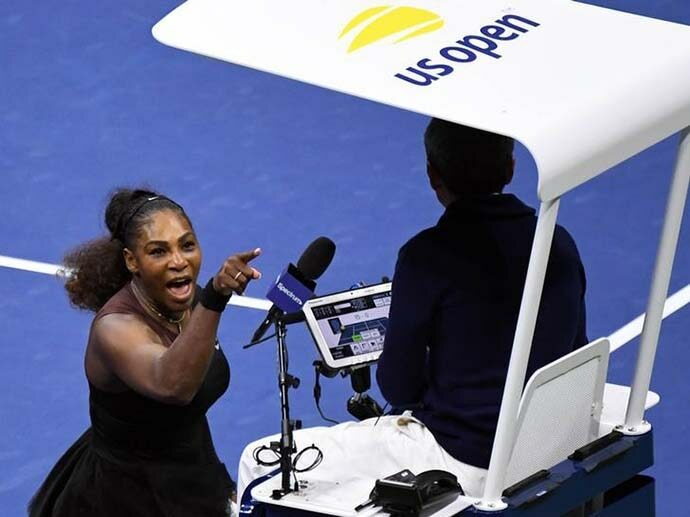 During the match, the chair umpire Carlos Ramos had to issue a warning to Williams for code violations and this exploded on the third such transgression, with Serena angrily accusing the umpire of being a ‘thief’ and more. This is a match that will be analysed and pored over from numerous perspectives by those who are ardent Serena fans and others who may not share this adulation. But for now — Naomi Osaka emerged as the epitome of dignity and grace under fire. The partisan crowd cheered Williams — and this is no surprise for she is the darling of the domestic US audience and there was palpable dismay when it was clear that Osaka was the better player on Saturday. 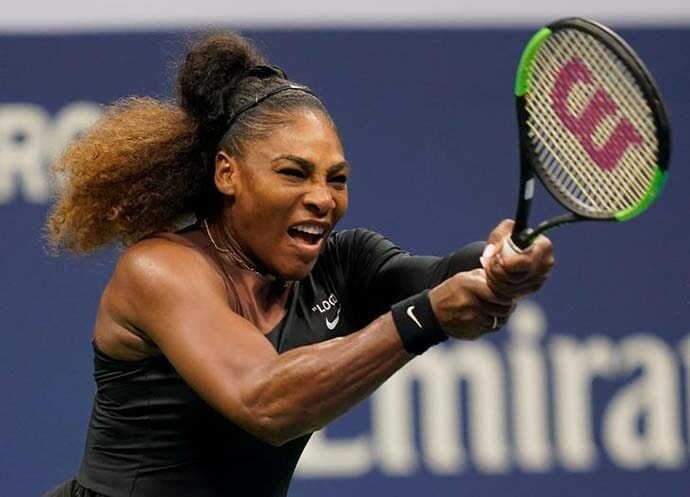 The second set went into a tail-spin with Serena’s outbursts and in a rare exigency — penalty points were invoked, thereby marring the spirit and texture of a grand final. 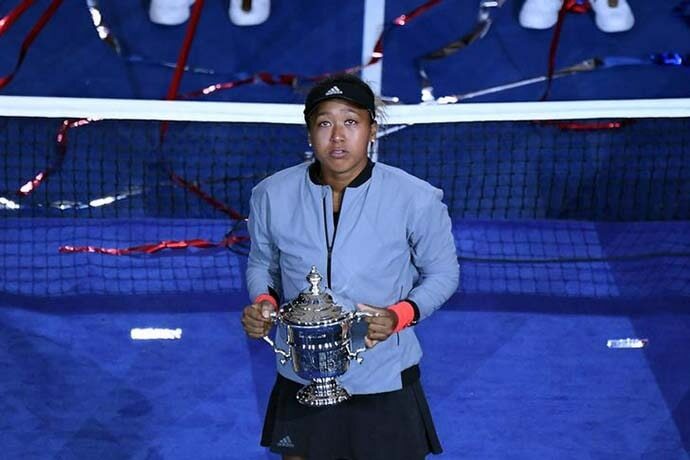 To add to the anomalous nature of the trophy ceremony — the winner Osaka, who was reduced to tears at what she had to go through, extended an apology for denying the crowd the result they wanted. This was unprecedented and watching this moment on TV, one was cringing, presumably like thousands of others across the globe. What struck me was the manner in which Osaka was left isolated and vulnerable on that stage — for the few minutes that the event was telecast. The three older women who were to present the awards were sharing the stage with the players — but did not extend any support or solace to the 20-year-old — and this was very disappointing and diminished the ethos of the event. History will clinically acknowledge Serena Williams as being the greatest of tennis players — and 23 major titles is indeed a monumental achievement. Saturday was not her night in more ways than one. And the response of the crowd at Flushing Meadows in New York would vindicate the proposition that emotive tribalism is deeply embedded at sports fixtures in a much deeper manner than acknowledged. As Pliny, the Roman historian, noted about the amphitheatre – there are moments when the favored gladiator fails and ‘the mob becomes Rome and Rome, the mob'. That moment was experienced on September 8. Saturday night at New York calls for objective introspection about the transmutation within American society — is there an unintended osmosis at play that can be related to the Trump phenomenon? The coarsening of the collective sensibility?